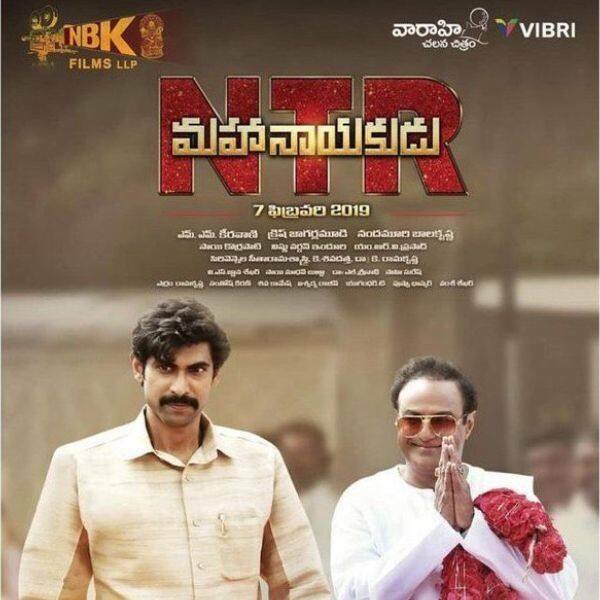 The first part of the NTR biopic, Kathanayakudu, was released on January 9 and the film opened to good response from the audience. Directed by Krish, NTR Kathanayakudu portrayed the cinematic journey of N.T. Rama Rao and garnered great appreciation from audience. The second part of the NTR biopic titled Mahanayakudu will depict the political sojourn of N.T. Rama Rao. The first part, NTR Kathanayakudu, ended with the announcement of his political party and it is expected that the Mahanayakudu will take off from that juncture. However, the release of the film may get delayed according to some reports. News has it that NTR Mahanayakudu’s release may get delayed and might not release on February 8 as announced earlier. The grapevine says that the film may now release on February 14 which is yet to be confirmed officially by the makers. Coincidentally, the biopic on former Chief Minister YS Rajasekhara Reddy titled Yatra is also slated to be released on February 8 and hence the makers of Mahanayakudu want to avoid clashing with it at the box office. Emerging reports reveal that this rescheduling could have a political perspective to it as well and hence could have resulted in the postponing of the release. Besides Balakrishna, the biopic also stars Vidya Balan, Rana Daggubati, Nandamuri Kalyanram and many other stars in key roles. Cameos by actresses like Rakul Preet, Hansika Motwani, Payal Rajput and Nithya Menen among many others were seen in NTR Kathanayakudu. Follow us at @bollywood_life for your daily dose of news and updates!